Women There are 587 products. 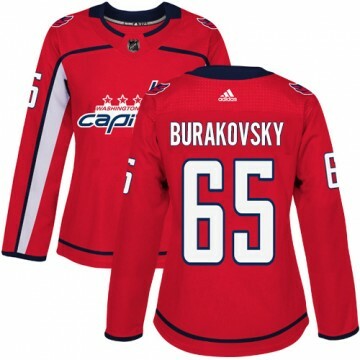 Let everyone know you're the #1 Washington Capitals fan when you sport this Authentic Adidas Women's Andre Burakovsky Washington Capitals Home Jersey - Red! The perfect complement to your Washington Capitals wardrobe, this jersey is sure to turn heads. Let everyone know you're the #1 Washington Capitals fan when you sport this Authentic Adidas Women's Braden Holtby Washington Capitals Home Jersey - Red! The perfect complement to your Washington Capitals wardrobe, this jersey is sure to turn heads. Let everyone know you're the #1 Washington Capitals fan when you sport this Authentic Adidas Women's Brett Connolly Washington Capitals Home Jersey - Red! The perfect complement to your Washington Capitals wardrobe, this jersey is sure to turn heads. Let everyone know you're the #1 Washington Capitals fan when you sport this Authentic Adidas Women's Brooks Orpik Washington Capitals Home Jersey - Red! The perfect complement to your Washington Capitals wardrobe, this jersey is sure to turn heads. Let everyone know you're the #1 Washington Capitals fan when you sport this Authentic Adidas Women's Custom Washington Capitals Home Jersey - Red! The perfect complement to your Washington Capitals wardrobe, this jersey is sure to turn heads. Let everyone know you're the #1 Washington Capitals fan when you sport this Authentic Adidas Women's Dale Hunter Washington Capitals Home Jersey - Red! The perfect complement to your Washington Capitals wardrobe, this jersey is sure to turn heads. Let everyone know you're the #1 Washington Capitals fan when you sport this Authentic Adidas Women's Dennis Maruk Washington Capitals Home Jersey - Red! The perfect complement to your Washington Capitals wardrobe, this jersey is sure to turn heads. Let everyone know you're the #1 Washington Capitals fan when you sport this Authentic Adidas Women's Dmitry Orlov Washington Capitals Home Jersey - Red! The perfect complement to your Washington Capitals wardrobe, this jersey is sure to turn heads. Let everyone know you're the #1 Washington Capitals fan when you sport this Authentic Adidas Women's Evgeny Kuznetsov Washington Capitals Home Jersey - Red! The perfect complement to your Washington Capitals wardrobe, this jersey is sure to turn heads. Let everyone know you're the #1 Washington Capitals fan when you sport this Authentic Adidas Women's John Carlson Washington Capitals Home Jersey - Red! The perfect complement to your Washington Capitals wardrobe, this jersey is sure to turn heads. Let everyone know you're the #1 Washington Capitals fan when you sport this Authentic Adidas Women's Jonas Siegenthaler Washington Capitals Home Jersey - Red! The perfect complement to your Washington Capitals wardrobe, this jersey is sure to turn heads. Let everyone know you're the #1 Washington Capitals fan when you sport this Authentic Adidas Women's Lars Eller Washington Capitals Home Jersey - Red! The perfect complement to your Washington Capitals wardrobe, this jersey is sure to turn heads. Let everyone know you're the #1 Washington Capitals fan when you sport this Authentic Adidas Women's Lucas Johansen Washington Capitals Home Jersey - Red! The perfect complement to your Washington Capitals wardrobe, this jersey is sure to turn heads. Let everyone know you're the #1 Washington Capitals fan when you sport this Authentic Adidas Women's Matt Niskanen Washington Capitals Home Jersey - Red! The perfect complement to your Washington Capitals wardrobe, this jersey is sure to turn heads. Let everyone know you're the #1 Washington Capitals fan when you sport this Authentic Adidas Women's Nicklas Backstrom Washington Capitals Home Jersey - Red! The perfect complement to your Washington Capitals wardrobe, this jersey is sure to turn heads. Let everyone know you're the #1 Washington Capitals fan when you sport this Authentic Adidas Women's Rod Langway Washington Capitals Home Jersey - Red! The perfect complement to your Washington Capitals wardrobe, this jersey is sure to turn heads. Let everyone know you're the #1 Washington Capitals fan when you sport this Authentic Adidas Women's T.J. Oshie Washington Capitals Home Jersey - Red! The perfect complement to your Washington Capitals wardrobe, this jersey is sure to turn heads. Let everyone know you're the #1 Washington Capitals fan when you sport this Authentic Adidas Women's Tom Wilson Washington Capitals Home Jersey - Red! The perfect complement to your Washington Capitals wardrobe, this jersey is sure to turn heads. Let everyone know you're the #1 Washington Capitals fan when you sport this Authentic Adidas Women's Andre Burakovsky Washington Capitals USA Flag Fashion Jersey - Red! The perfect complement to your Washington Capitals wardrobe, this jersey is sure to turn heads. Let everyone know you're the #1 Washington Capitals fan when you sport this Authentic Adidas Women's Braden Holtby Washington Capitals USA Flag Fashion Jersey - Red! The perfect complement to your Washington Capitals wardrobe, this jersey is sure to turn heads. Let everyone know you're the #1 Washington Capitals fan when you sport this Authentic Adidas Women's Brett Connolly Washington Capitals USA Flag Fashion Jersey - Red! The perfect complement to your Washington Capitals wardrobe, this jersey is sure to turn heads. Let everyone know you're the #1 Washington Capitals fan when you sport this Authentic Adidas Women's Brooks Orpik Washington Capitals USA Flag Fashion Jersey - Red! The perfect complement to your Washington Capitals wardrobe, this jersey is sure to turn heads. Let everyone know you're the #1 Washington Capitals fan when you sport this Authentic Adidas Women's Christian Djoos Washington Capitals USA Flag Fashion Jersey - Red! The perfect complement to your Washington Capitals wardrobe, this jersey is sure to turn heads. Let everyone know you're the #1 Washington Capitals fan when you sport this Authentic Adidas Women's Dale Hunter Washington Capitals USA Flag Fashion Jersey - Red! The perfect complement to your Washington Capitals wardrobe, this jersey is sure to turn heads. Let everyone know you're the #1 Washington Capitals fan when you sport this Authentic Adidas Women's Dennis Maruk Washington Capitals USA Flag Fashion Jersey - Red! The perfect complement to your Washington Capitals wardrobe, this jersey is sure to turn heads. Let everyone know you're the #1 Washington Capitals fan when you sport this Authentic Adidas Women's Devante Smith-Pelly Washington Capitals USA Flag Fashion Jersey - Red! The perfect complement to your Washington Capitals wardrobe, this jersey is sure to turn heads. Let everyone know you're the #1 Washington Capitals fan when you sport this Authentic Adidas Women's Dmitry Orlov Washington Capitals USA Flag Fashion Jersey - Red! The perfect complement to your Washington Capitals wardrobe, this jersey is sure to turn heads. Let everyone know you're the #1 Washington Capitals fan when you sport this Authentic Adidas Women's Evgeny Kuznetsov Washington Capitals USA Flag Fashion Jersey - Red! The perfect complement to your Washington Capitals wardrobe, this jersey is sure to turn heads. Let everyone know you're the #1 Washington Capitals fan when you sport this Authentic Adidas Women's Jakub Vrana Washington Capitals USA Flag Fashion Jersey - Red! The perfect complement to your Washington Capitals wardrobe, this jersey is sure to turn heads. Let everyone know you're the #1 Washington Capitals fan when you sport this Authentic Adidas Women's John Carlson Washington Capitals USA Flag Fashion Jersey - Red! The perfect complement to your Washington Capitals wardrobe, this jersey is sure to turn heads. Let everyone know you're the #1 Washington Capitals fan when you sport this Authentic Adidas Women's Jonas Siegenthaler Washington Capitals USA Flag Fashion Jersey - Red! The perfect complement to your Washington Capitals wardrobe, this jersey is sure to turn heads. Let everyone know you're the #1 Washington Capitals fan when you sport this Authentic Adidas Women's Lars Eller Washington Capitals USA Flag Fashion Jersey - Red! The perfect complement to your Washington Capitals wardrobe, this jersey is sure to turn heads. Let everyone know you're the #1 Washington Capitals fan when you sport this Authentic Adidas Women's Lucas Johansen Washington Capitals USA Flag Fashion Jersey - Red! The perfect complement to your Washington Capitals wardrobe, this jersey is sure to turn heads. Let everyone know you're the #1 Washington Capitals fan when you sport this Authentic Adidas Women's Matt Niskanen Washington Capitals USA Flag Fashion Jersey - Red! The perfect complement to your Washington Capitals wardrobe, this jersey is sure to turn heads. Let everyone know you're the #1 Washington Capitals fan when you sport this Authentic Adidas Women's Nathan Walker Washington Capitals USA Flag Fashion Jersey - Red! The perfect complement to your Washington Capitals wardrobe, this jersey is sure to turn heads. Let everyone know you're the #1 Washington Capitals fan when you sport this Authentic Adidas Women's Nicklas Backstrom Washington Capitals USA Flag Fashion Jersey - Red! The perfect complement to your Washington Capitals wardrobe, this jersey is sure to turn heads.